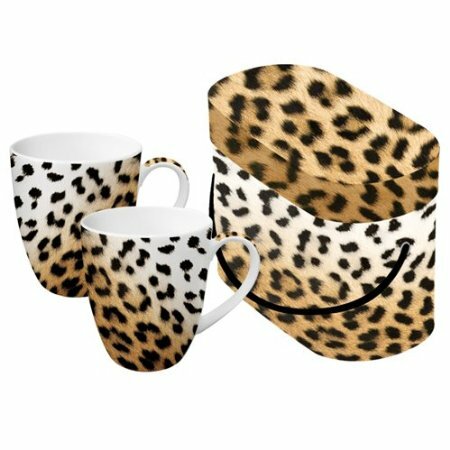 Paperproducts Design Mug Set features wild Leopard print. Set of 2 porcelain mugs are packaged in coordinating, re-usable oval box that is perfect for gift giving or storage. Each mug holds 11-ounce.